Daylight is a breaking in my soul. This song is an adaptation of the traditional African American spiritual “Bright Morning Stars.” Bright Morning Stars are thought by many to represent angels. The original song asks "where are our dear mothers?" and "where are our dear fathers?" I used the same structure but changed the questions and answers. For the traditional lyrics, go to the Bright Morning Stars page. The loss of a baby is unimaginably traumatic, private and personal. Those of us close to the grieving family are often lost for suitable words of support, comfort or consolation. 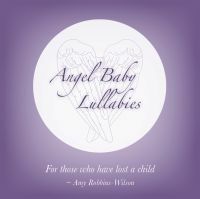 Angel Baby Lullabies provides support and comfort to parents and families in their time of bereavement. The music is simple, soft, gentle, and makes a thoughtful and considerate gift during a very difficult time.